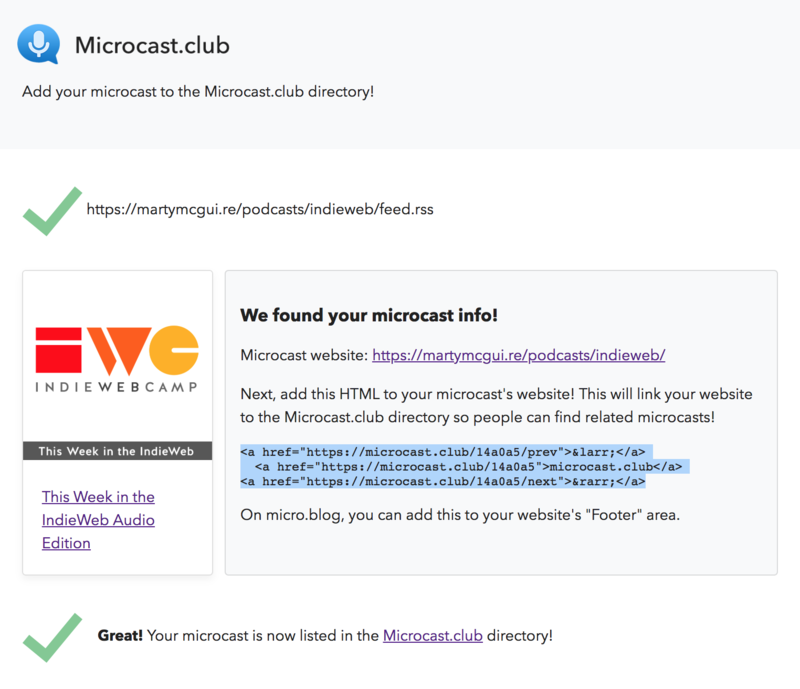 Looks like Aaron Parecki is up to something fun with his new microcast.club podcast directory-slash-webring. I went ahead and added This Week in the IndieWeb Audio Edition! 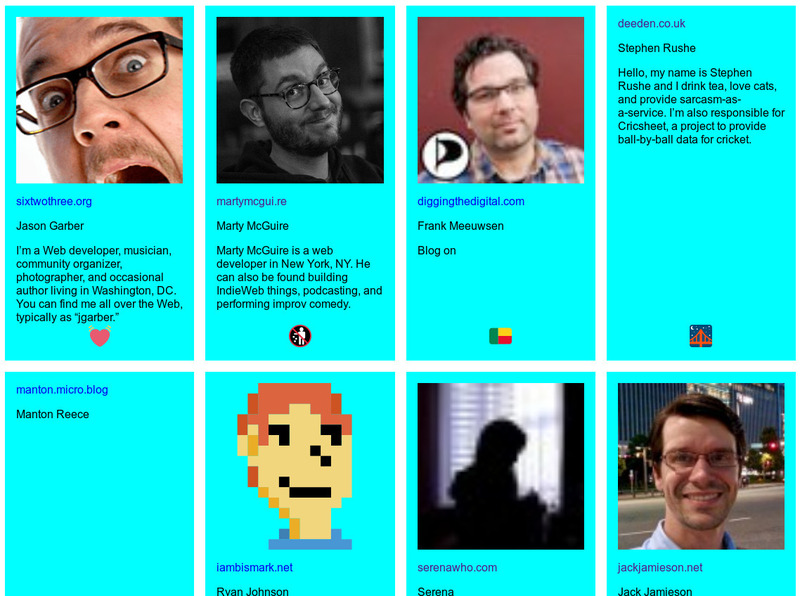 Looking forward to seeing more webrings like this bloom throughout the web as a means of discovery.